What is Signia showing here? Looks like a new model of the Styletto coming? Maybe a bigger fitting range to fit more severe losses? that would be cool and (awesome for my mom too) she’s mild moderate/profound so… WOULD LOVE TO SEE THAT FOR MORE HEARING LOSSES! Styletto Connect comes with a pocket-sized portable charging case that powers a full day’s worth of wearing1 with five hours of streaming on a single charge. A 30-minute fast charge adds five hours of use, or three hours of streaming, for flexibility on the move. Fully loaded, the charging case is said to deliver four days of user autonomy, free from plugs or cables. Based on 16 hours of wearing time per day. I’m hoping the announcement concerns wireless connectivity. The Stylettos can’t connect with smartphones right now to stream sound. For the “fashionistas” who may constantly be using their phones, this is a major oversight. Style but no substance. . . So that, then, may be the new feature. The article you quoted has been removed from the site (or at least the link no longer works and a search can’t find it). They may have jumped the gun in publishing the news! I vote my own Phonak Marvel in P6 Silver as the most stylish I’ll ever wear! Well. That is, when it comes IN! I’m still wearing a boring flesh-colored Marvel for 312 until then. Beggars can’t be choosers. And my dear aud-guy is PEERLESS! He gave me the 312 Marvels back in December - NO CHARGE! - and tells me to wear these clear through March, at which time we both hope the 13 Marvels will arrive and I’ll get in for a fitting. He hasn’t even taken a deposit on the new aids. Says he knows where to find me if I try to disappear with them. 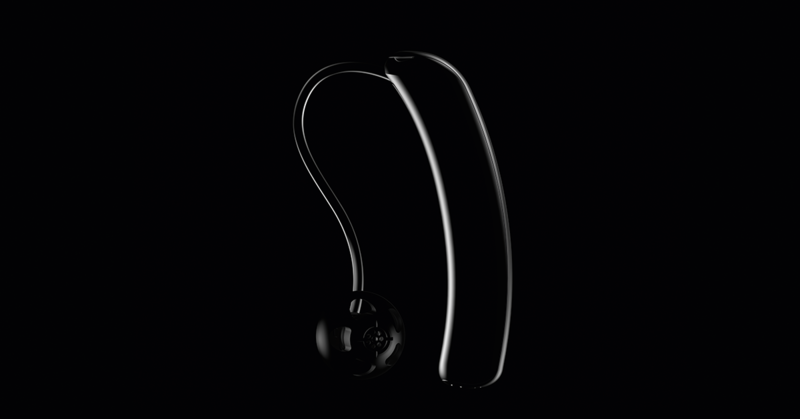 They can call it whatever they want but to me the Styletto looks just like any other hearing aid, but a bit slimmer. Replying WAY late to the game here … YES the Phonak receivers that go in the ear are LOGS that even Paul Bunyan could topple. What can we do?!? We who need POWER need the LOG. My ears are sore almost all the time, but I give them a rest while sleeping (aids OUT), and the next day start all over again with the LOG. Bluejay, I was hoping you came up with a solution, all this time! Ha!. I cannot handle the Phonak power receiver at all. Nope. No solution as of yet. I just swapped my loaner Marvel 312 aids for a pair of NEW size 13 batt Marvels. Just for curiosity, I lay them side-by-side: receivers are the identical LOGS (and actually the case for the size 13s were just a “smidgeon” bigger, very much justifying the longer battery life of 13 vs 312). I find that my poor ear canals really take a beating by day’s end. Not only is the LOG too fat and long, but the whole angle of the receiver is wrong. It seems to angle into my canal and slam right up against that wall before the giant tunnel to my ear drum. No amount of fiddle-faddling can direct that dang LOG into the darker chamber of the actual ear canal. Not sure why, cuz there’s plenty of excess wire - it just seems impossible to insert the receiver (with dome on the end) into a comfy spot IN the ear. Thank goodness I have 8-10 hours of respite every night after taking the aids out to sleep. By the next morning my ear canals are just okay again to jam the LOG in.